Written By Roy L Hales and Robert Lundahl. Originally published in TheECOreport. Part II of The ECOReport Earth Day Investigative Special Report on the Water/Energy Nexus. 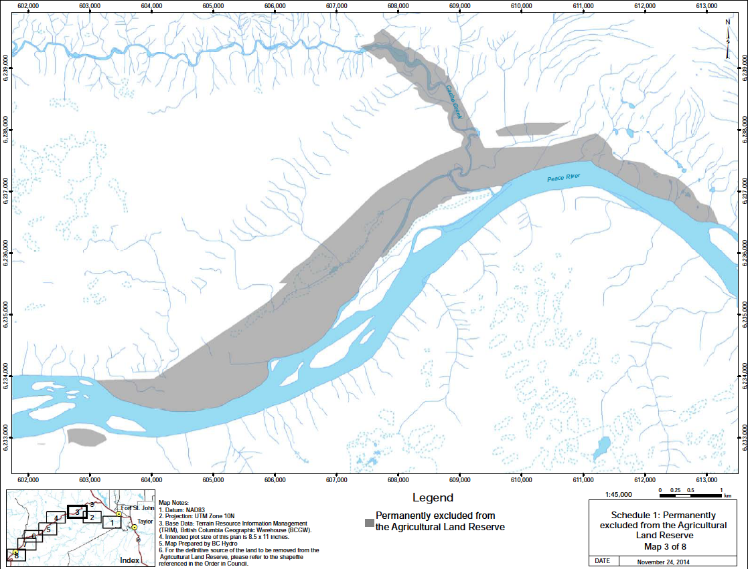 In addition to being one of the province’s most promising agricultural areas, the Peace River Valley sits on the Montney shale formation and is location of the proposed Site C Dam. This is “double trouble” for agriculture in British Columbia, as not only has the area been proposed to be flooded, but it is now flooded with speculators and energy companies wishing to frack the life out of the place before it is. With the revelations of the severity of California’s drought coming at Canadians a mile a minute, uncertain pressures on the food supply from Canada’s trading partners in an ever drier California stand starkly in opposition to energy profiteering and collusion by the Provincial government and the Cabinet. Amid predictions of $7 heads of broccoli on the horizon, the government acted, but it acted not to protect the food security of Canadians, but to protect the pocketbooks of energy companies. In a deft deployment of “finger pointing,” a Ministry of Agriculture spokesperson recently informed the ECOreport that the Agricultural Land Commission (ALC) makes the decisions regarding land zoned for agricultural use . “The ALC is an administrative tribunal – arm’s length from government – and government does not interfere in that independent decision-making process.” He did not mention the fact two weeks prior to our interview, the Cabinet of British Columbia removed land from the ALC — and from agricultural use — for the Site C Dam flooding. All in all, close to 4000 hectares were transferred out of the Agricultural Land Reserve (ALR). There is nothing illegal about this transaction. There are clauses within the ALC Act that provide the government with the needed power and leverage. One bears the appropriate title “Oil and Gas Commission Delegation.” The ALC can “delegate” its decision making authority to an “authority” – which is defined as “an agent of government, a public body or public officer” with whom the ALC has an agreement.” We do not yet know which clause Christy Clark’s cabinet used to justify their action. Perhaps Clark wishes to avoid the brown stain of loamy mud upon her knees in favor of the “green” of hydropower development on a massive scale. Collins suggested TheECOreport contact the Ministry of Agriculture for further details. “The province did this. The ALC did not do this. We don’t have the information about OICs, which are cabinet decisions. That source doesn’t come to us. We know about as much as anybody else does. We have to go and ask the Ministry of Agriculture about the specifics which hold. We don’t have details about it because we weren’t the decision maker,” he said, figuratively diving under his desk. Two BC cabinet ministers, Steve Thomson, and Michelle Stilwell, signed Order in Council #148. 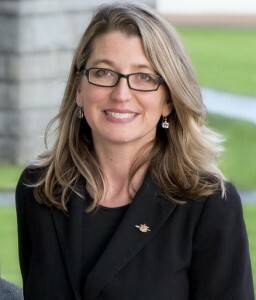 The Lieutenant Governor of British Columbia signed the OIC into effect on April 8, 2014. Collins said cabinet actions of this type are rare, but do happen. Six Mile Ranch was excluded from the Agricultural Land Reserve in 1997. Another parcel was taken in Delta, during the early 2000’s. This latest OIC maneuver removes any hope British Columbians had that the Agricultural Land Commission could protect their food security interests. It also raises questions about the Ministry of Agriculture’s credibility. Doublespeak is language that deliberately disguises, distorts, or reverses the meaning of words. When ordinary people use it, we call them liars. How does one explain the Ministry’s assertions that ALR decisions in the Peace River region are being made by an independent body? Is doublespeak Government policy in British Columbia? Meanwhile the first court challenges against Site C are being held in Vancouver. A lawsuit by “Treaty 8” First Nations tribes went before the BC Supreme Court at 10 am.